At GoGo squeeZ, our mission is to make it easier for families to be healthier and happier. We’re proud to be the leading squeezable, re-closable, 100% fruit in a pouch. Our products are crafted with high-quality, natural ingredients to provide wholesome goodness for squeeZing, and enjoying wherever life takes you. With over 20 varieties of fruit and veggieZ on-the-go, we’re more than just Applesauce, we’re Goodness on the Go! At GoGo squeeZ, our mission is to make it easier for families to be healthier and happier. 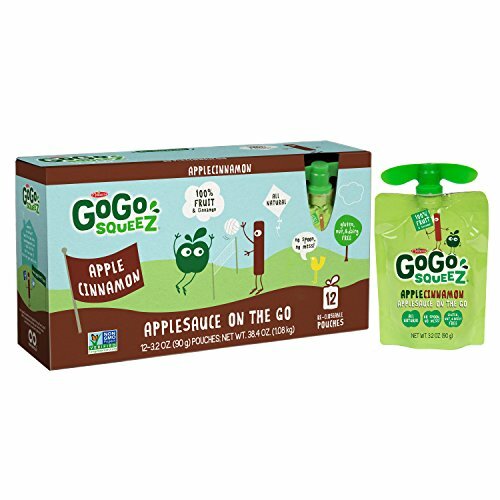 With over 20 varieties of fruit and veggieZ on-the-go, plus new GoGo squeeZ YogurtZ, we're more than just Applesauce, we're Goodness on the Go! View More In Fruit Cups. If you have any questions about this product by GoGo SqueeZ, contact us by completing and submitting the form below. If you are looking for a specif part number, please include it with your message. Del Monte Diced Peaches in Light Syrup, 16 pk./4 oz.